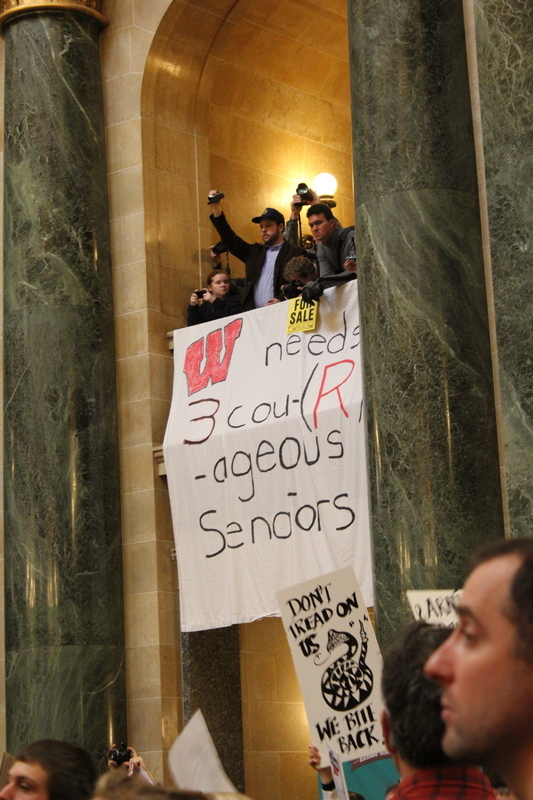 A poster hangs that says "Wisconsin needs 3 courageous Senators" with the R in courageous capitalized in red, to emphasize the three republican senators needed in voting on the bill. Hastings, Jamey. , “Wisconsin Needs 3 Courageous Senators ,” Wisconsin Uprising Archive, accessed April 22, 2019, http://wisconsinuprisingarchive.org/items/show/163.